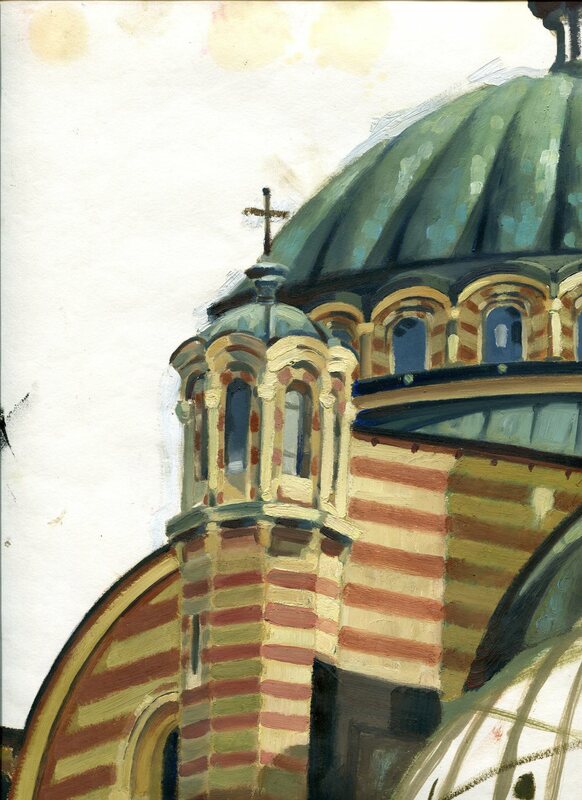 Whilst Lausanne-Orthodox Initiative participants gathered in Helsinki, Finland, last week, a symposium was held in Oxford, UK, to celebrate the completion of the Edinburgh 2010 series of books on mission and unity. The series, published by Regnum Press, now includes over 30 volumes on topics raised by the international Edinburgh 2010 conference. 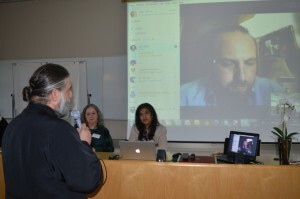 Speaking at the symposium, Dr Petros Vassiliadis (right), emeritus professor of the Aristotle University of Thessaloniki, and President of the Center for Ecumenical, Missiological and Environmental Studies “Metropolitan Panteleimon Papageorgiou” (CEMES), drew specific attention to the Orthodox contribution to missiology over the past 50 years. In doing so he drew on material from the recently published LOI book The Mission of God: Studies in Orthodox and evangelical Mission. Dr. Vassiliadis’ paper is available here. Organisers of last week’s LOI Consultation The gospel as Good News were taken by surprise when almost one third of the participants turned up for an ‘optional’ session on Theological Education. Planned as a gathering for a handful of interested individuals this meeting became a major aspect of the consultation signalling the importance of early formation in inter-tradition (ecumenical) understanding. 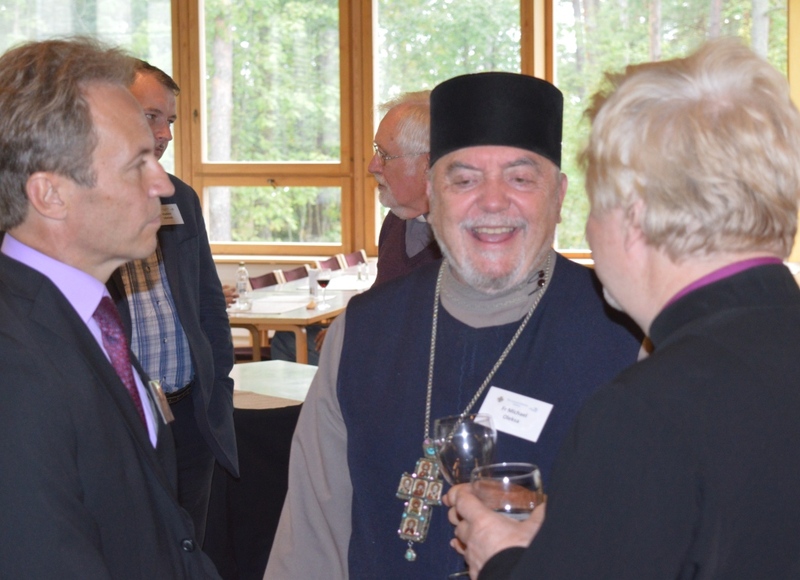 Participants first heard many examples of Orthodox and Evangelical scholars working together in theological education and the spiritual formation of priests, ministers and pastors, and then discussed how this work can be further enhanced. Both faculty and student exchange programmes were suggested, alongside the sharing of library and other resources. It was emphasised that there is room for the two Christian traditions to cooperate in informal as well as formal education. At the end of the meeting the group made a commitment to continue work together and to explore the possibility of a future consultation specifically focused on this issue. In the meantime all members of the meeting will be looking for opportunities for cross-fertilisation between their respective institutions and training programmes. 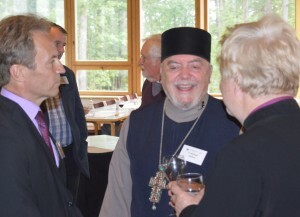 The aim is to foster grater understanding of the different tradition, to build trust and to open up possibilities for mutual support, encouragement and joint working early in the ministry of Orthodox and Evangelical leaders. On 29 August 2015 Christians from at least three denominations met at what used to be a Jewish temple, Temple Beth Emet, now home to Emanuel Romanian Church of God, marking the first ever conference of the Society For Interdenominational Dialogue (SID). The event, held under the banner “The Relevance of God’s Word in a Postmodern Society,” was also co-organized by Ekklesia Bible College, a practice-based theological seminary founded by several Romanian pastors from the U.S. that now has branches in Romania, Uganda, and Rwanda. 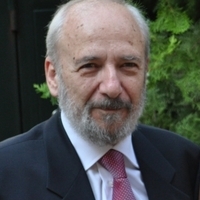 The keynote speaker was Father Stelian Tofana, PhD (pictured), New Testament professor from The Orthodox School of Theology at University of Babeș-Bolyai in Cluj Napoca, Romania and member of The Lausanne-Orthodox Initiative (LOI). 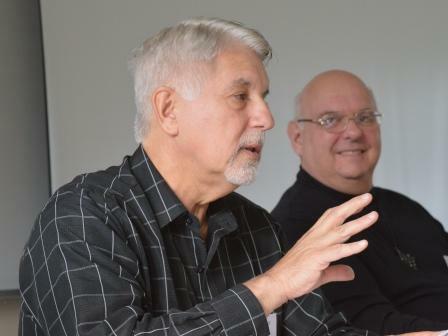 We are pleased to report on the successful annual conference of the Central and Eastern European Association of Mission Studies (CEEAMS) which was held in Heiligenkreuz, near Vienna between the 10 – 13 February 2015. Its theme was, Beyond the Iron Curtain: Being Church in Central and Eastern Europe twenty five years after the political changes. The participants told stories of Christians living and working in that region and analysed the trends in the church and mission after the momentous events of 1989. CEEAMS, established in 2002, is an international, interdenominational and intercultural body committed to the scholarly study of issues related to Christian mission, especially focusing on Central and Eastern Europe, in order to support, strengthen and equip local congregations to function as open and welcoming communities witnessing to Jesus Christ in today’s world. Download a full report here. We are very grateful to Deacon Gill Kimber for allowing us to share a copy of her dissertation paper MISSION IMPOSSIBLE? : Developing an understanding of the task of interconfessional mission with reference to the Romanian Orthodox Church and Romanian evangelical and Baptist churches in Transylvania here on the LOI website. Gill’s extensive and challenging paper was written in 2010 and is born out of several years of mission service in Romania with the (Anglican) Church Mission Society. The second day of the Lausanne-Orthodox Initiative has been wrestling with ‘What is the Gospel?’. This is a particularly challenging question in the ‘hard places’ of our contemporary world. During the afternoon participants heard from Salim S. (name withheld) from Allepo, Syria, who joined the consultation by Skype because he had been unable to obtain a visa to enter Finland. He spoke of the desire of many Christian families in his devastated city to ‘stay put’ and to maintain there a witness of reconciliation and peace. Even in that hard place his church continues to train young leaders, bring children to the knowledge of Jesus Christ and serve the broken hearted. The consultation also heard from two participants who bridge the Messianic Jewish and Palestinian Christian divide in Israel/Palestine and Fr. Gregory Edwards who ministers in Greece and the USA. Fr. Gregory challenged us not to forget that places such as the USA can be as ‘hard’ spiritually as the war zones of our world. Earlier in the day Dr. Bradley Nassif and Dr. Rosalee Ewell, speaking from Orthodox and Evangelical perspectives, had helped us consider the content and meaning of the Gospel of Jesus Christ, not only as written word but also as oral story, lived lives and the Incarnate Word of God ever present in Christian communities. On the first day of the Orthodox ecclesiastical year, 63 Orthodox and Evangelical leaders are gathered at Sofia Cultural Centre just outside Helsinki, Finland, to consider “The Gospel as Good News”. Gathered from around the world the participants were welcomed by His Eminence Metropolitan Ambrosius on behalf of the local Orthodox Community. Bishop Tapio Luoma, of the Diocese of Espoo (Evangelical Lutheran Church of Finland) then gave a warm welcome on behalf of the majority Lutheran community in Finland, whilst Rev. Timo Keskitalo brought greetings from the Evangelical Alliance of Finland and the local Lausanne movement. The consultation continues until Friday.